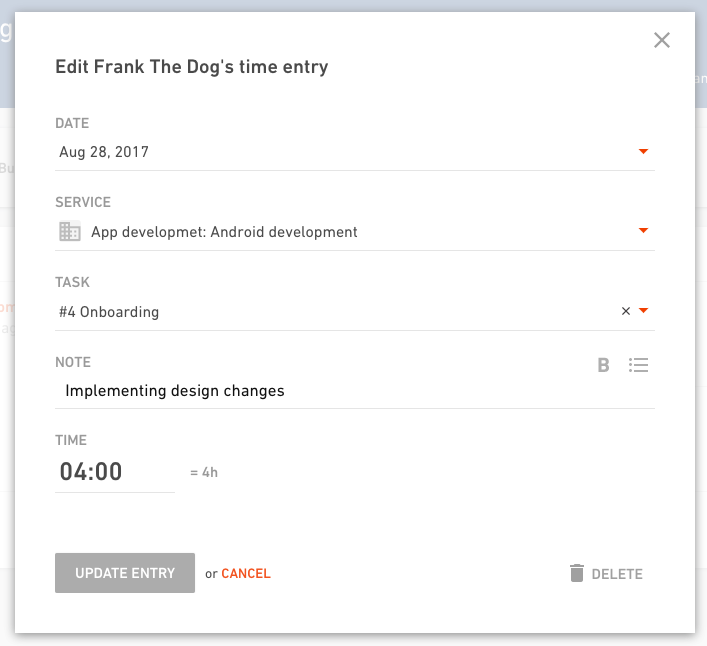 You can track time on tasks if you want more details in time entries. 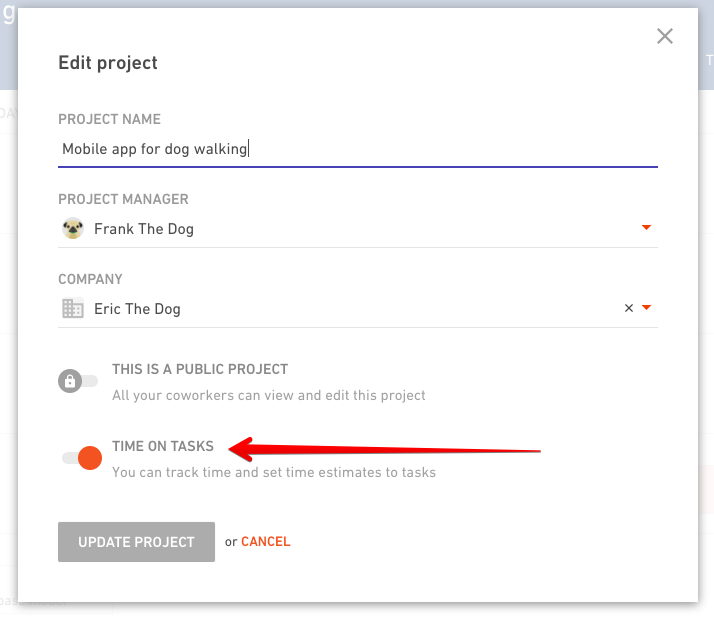 Track time on tasks by turning this on for each project first. 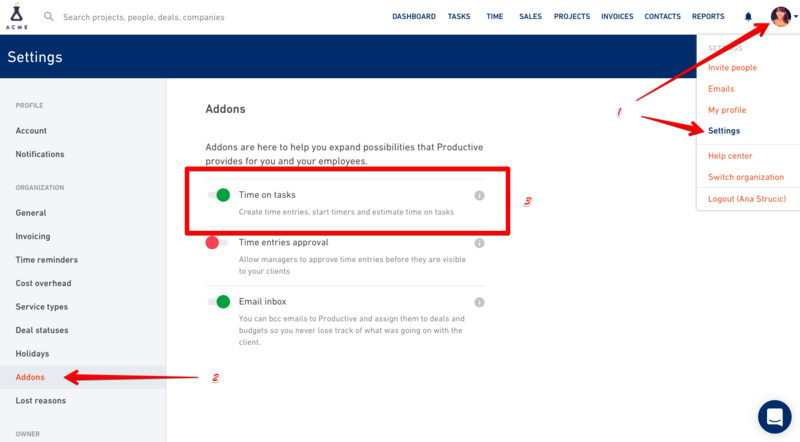 Tracking time on tasks is an add-on feature meaning you can turn it on if you need it but if you're happy with the way time tracking works out of the box, you don't have to use it. 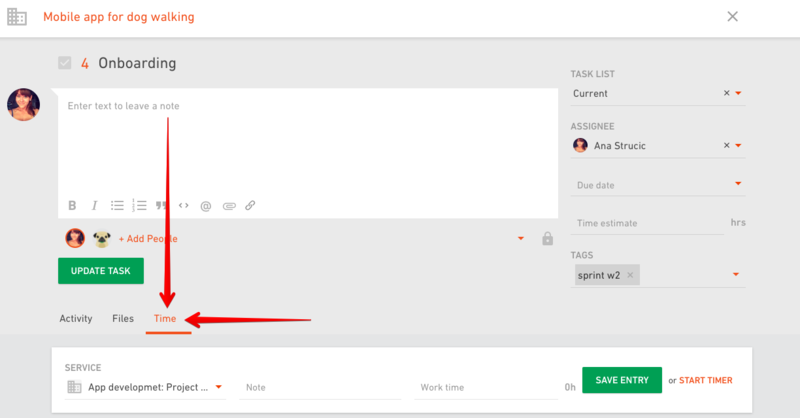 How to turn on tracking time on tasks? 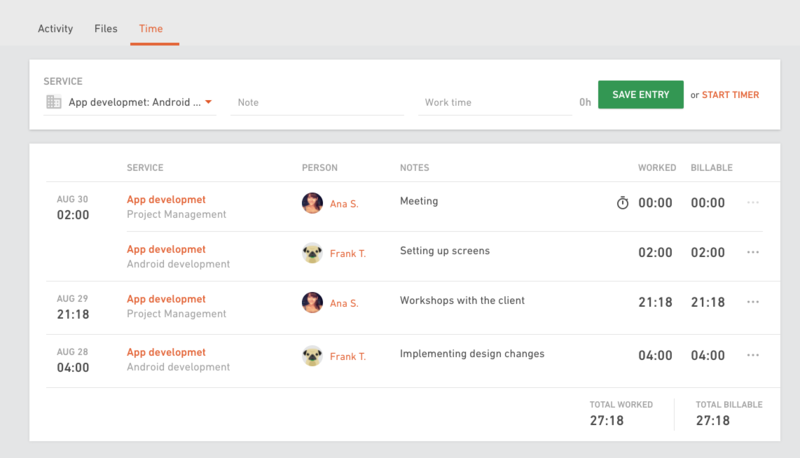 Now that you have time tracking/task estimating options set, open any existing task you have in your list of tasks. You’ll notice a third tab showing up in your task - Time. Put down a brief note about what you’ve been doing in this task and the amount of time you’ve spent and save your entry. You can also start timer while you’re working on the task and the time will be recorded automatically. Just don’t forget to hit the Stop button once you’re done with the task. What if I assign a task to someone else? Or close the task but forgot to track the time? A task doesn’t have to be assigned to you to be able to track time on it. You can track your time on whatever task you need to, no matter if it’s currently assigned to someone else or if it’s closed. 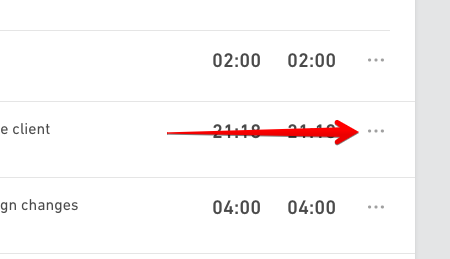 You can always see on the Time tab of the task who tracked their time on a particular task. It can be multiple people if the task circled between the team. ... and change whatever you need.